The Case IH Precision Hoe air drills offer accurate seed and fertilizer placement and good residue flow in uneven conditions, thanks to the patented, parallel-link row unit and unique single-shank design. 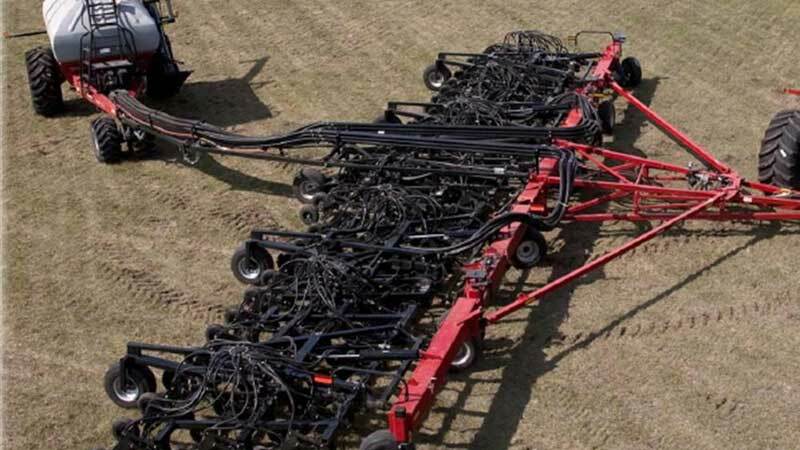 The patented parallel link row unit--with double-shoot knife opener and single-shank design-- provides exceptional seed and fertilizer placement accuracy and depth control. The Precision Hoe 800 combines precise control with rugged reliability for seeding in uneven terrain and tough no-till conditions.